On June 14, 1885, Bernard J. Cigrand placed a 10-inch, 38-star flag in a bottle on his desk at the Stony Hill School in Ozaukee County, Wisconsin. The 19-year-old teacher then asked his students to write essays on the flag and its significance to them. This small observance marked the beginning of a long and devoted campaign by Cigrand to bring about national recognition for Flag Day. 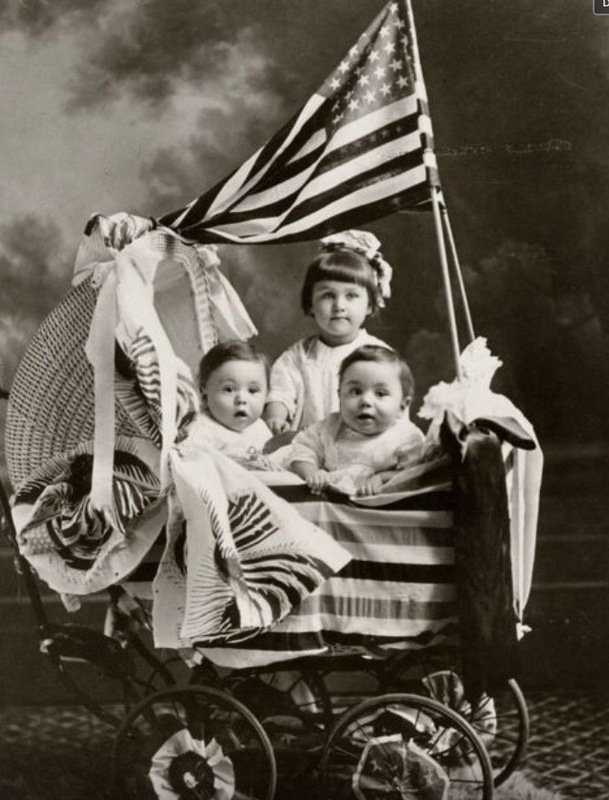 While many communities celebrated June 14 as Flag Day in the late 19th and early 20th centuries, the day was not nationally recognized until 1916. In that year, President Woodrow Wilson issued a proclamation calling for the first nationwide observance of Flag Day. Later, in 1949, President Harry Truman signed an act of Congress designating June 14 as National Flag Day. The act also requested that the President issue an annual proclamation calling for its observance and for the display of the flag of the United States on all Federal Government buildings. Cigrand didn’t choose a random summer’s day. thirteen stars, while on a blue field, representing a new constellation.